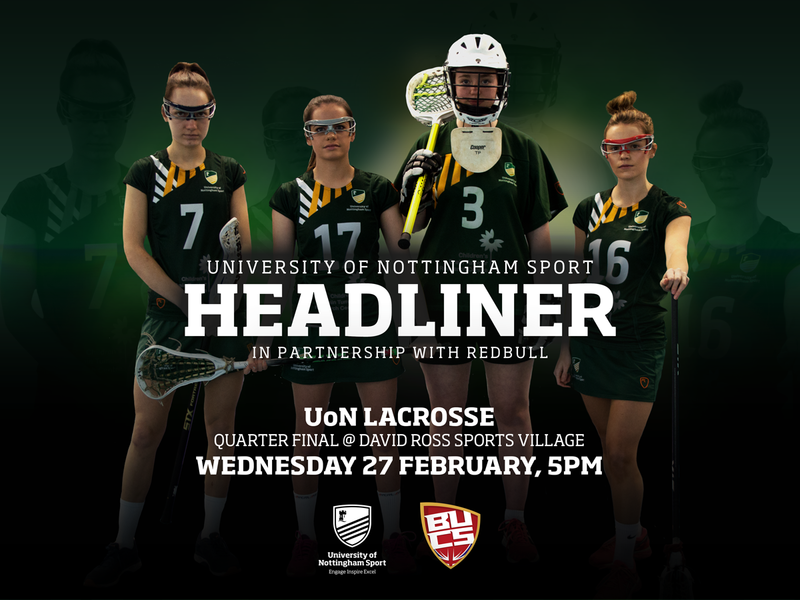 Women’s lacrosse is played all over the UK, but is one of the fastest-growing university sports. The object of the game is to use a long-handled stick with a leather net on the end, to catch and pass the solid rubber ball down the field in order to shoot it into the opponent’s goal. The game is 12-a-side and divided into two 30 minute halve with two 90-second timeouts. You can go behind the goal, but you aren’t allowed to go in the goalie’s circle (also known as the ‘crease’). Although the game is technically non-contact, players can contest with their bodies as long as contact is minimal and not dangerous. The game starts with a ‘Draw’, where the ball is placed between two opponent’s sticks in the centre of the field, and the ball is moved in an up-and-away motion. The ball can be played off the ground, where it can be scooped or flicked, but players cannot ‘cover’ the ball with their stick head on the ground – it has to be a clean scoop. To dispossess the other team, players can tackle with a ‘check’ – hitting the other player’s stick with theirs – to get the ball out. However, the motion of the tackler’s stick cannot go towards the person’s body or near their head. The person also must have the ball in their stick for someone to hit it. Players except the goalie must stay out of the goalie circle. 4 players plus the goalie must stay behind when their team goes up to attack or back to defence so that the play is always 7v7 around goal. If a team sends extra over then this will be called as ‘offside’. Being in the shooting lane whilst not marking another attacker or any other major foul in the inside fan marked on the pitch will result in a ‘free position’- similar to a penalty shot in football. Fouls can be minor, in which player gets sent 4 metres to the side; or major, in which players get sent 4m behind (unless when in the fan where a free position occurs). If the foul is especially dangerous (a check to the head or rough play) then the player can be given a yellow card and sent off for 2 minutes. You will now be able to competently watch and follow the Headliner on 27th February. We hope you enjoy this competitive, fast-paced fixture! Support the #GreenandGold and secure your ticket for free now. Shin splints- the name itself is enough to strike fear into any athlete- but what is it?